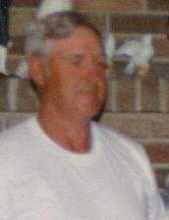 Larry Raymond Campbell, 75, of Clinton, MO died on Wednesday morning, March 27, 2019, at Research Hospital in Kansas City, MO. Larry was born December 1, 1943, in Clinton, MO, to Chester Cecil Campbell and Elsie May ‘Hunter’ Campbell. He is survived by his sister, Mary Jane Drenning, McHenry, Illinois. Larry was a graduate of Clinton High School, class of 1961, and joined the Army the day after graduation. He was honorably discharged after a short time of duty. Larry worked for Clearfield Cheese, Westport Construction and ended his working career at Walmart. He enjoyed fishing, especially trot lining for massive catfish. He also enjoyed hunting and was a participant of trap shooting. Bowling trophies are a part of his home decor. You can’t find a bigger St. Louis Cardinals fan than Larry Campbell. Much of his home decor and clothing includes a cardinal. Diet Dr. Pepper was his diet. Larry was preceded in death by his parents and siblings, Bobbie Lee (Bob), Bonnie June, Margie Faye Hicks-Mason, Chester Junior (Chuck), John Duncan, Harold Eugene, and George (Pete) Campbell. Uncle Larry will be missed for his stubbornness, orneriness, and sense of humor. He had a heart of gold. Graveside services will be held at Urich Cemetery on Tuesday, April 2, 2019, at 2:00 PM. Memorial contributions may be made to ‘The Wounded Warriors Project’ and left in care of Consalus Funeral Home, 209 S. 2nd, Clinton, MO. Condolences may be left online at www.consalusfunerlhome.com. To send flowers or a remembrance gift to the family of Larry Raymond Campbell, please visit our Tribute Store. "Email Address" would like to share the life celebration of Larry Raymond Campbell. Click on the "link" to go to share a favorite memory or leave a condolence message for the family.